There are tons of amazing experiences to be had in Jamaica, It’s natural to be confused when trying to plan your trip. To help you out here are 5 places you should consider checking out on your next trip to the island. Located in Oyster Bay, Trelawney, 20 minutes east of Montego Bay, The Luminous Lagoon is one of only three of its kind in the entire world. It is also said to be the most spectacular. 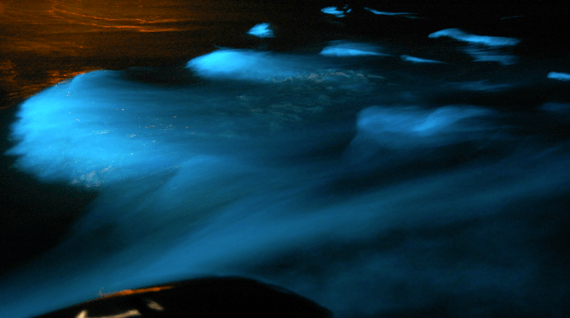 The water contains microscopic organisms which when disturbed illuminates the water. It is best experienced at nights so take a tour and jump in for a swim and watch yourself glow, literally ! As with many natural wonders of the worlds there is no telling when it could disappear so take advantage of this once in a lifetime opportunity. Check out Glistening Waters Restaurant & Marina to find out how you can experience this phenomenon. 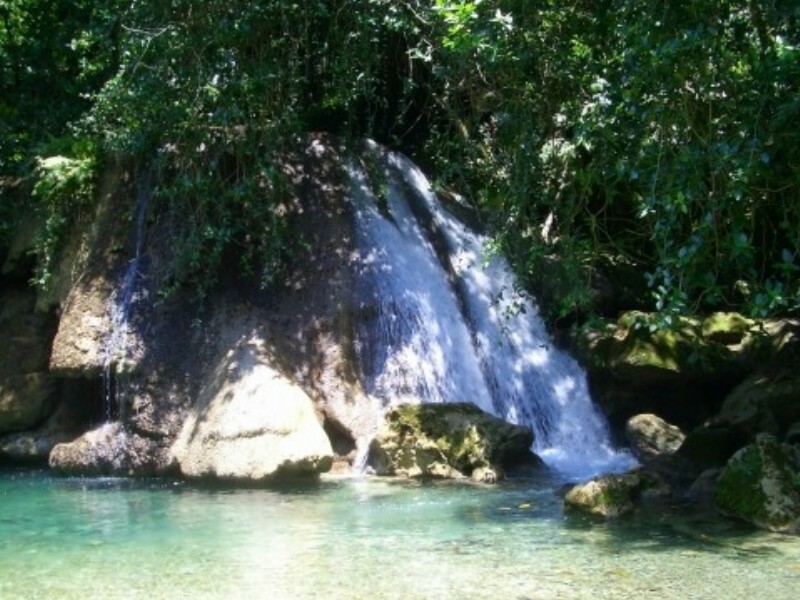 Jamaica is blessed with many waterfalls, each with its own unique charm. Nestled in the quiet hills of Manchioneal, Reach Falls is ranked among the most magnificent on the island. A dip in its crystal poo with the rain-forest back drop of Jamaica’s greenest parish is guaranteed to captivate your soul bringing you closer to nature than you’ve ever been. To hidden cave beneath the cascading waterfall only adds to its splendor and it is worth every minute of the long windy journey to get there. Check out their Facebook page. 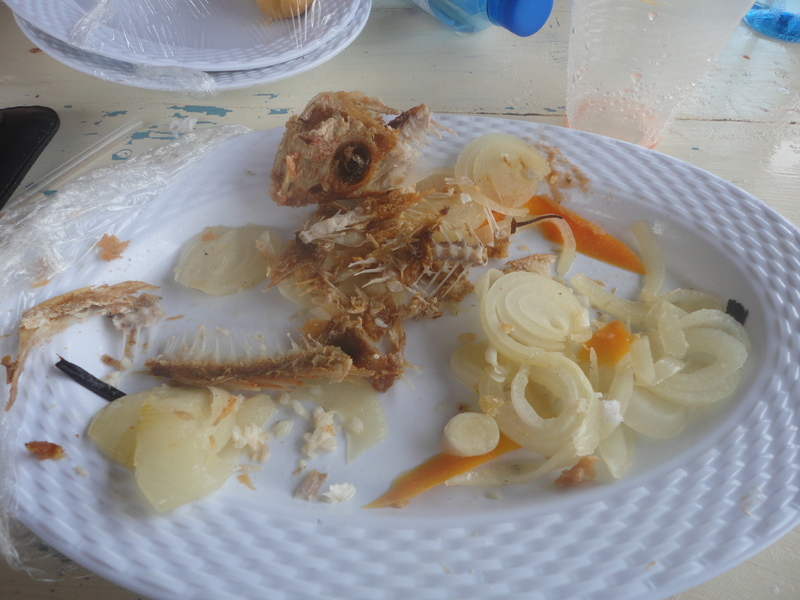 One expects delicious seafood when you visit an island but believe it or not it is not always easy to find. Alligator Pond is not one of those places that you stumble upon by accident, so when a seafood place in the middle of nowhere continuously pulls a crowd on any given day of the week , you know it is that good. A friend and I got lost a coupe of times on the way there but thank heavens we were committed to finding the place as it was worth the drive and the wait for the meal. 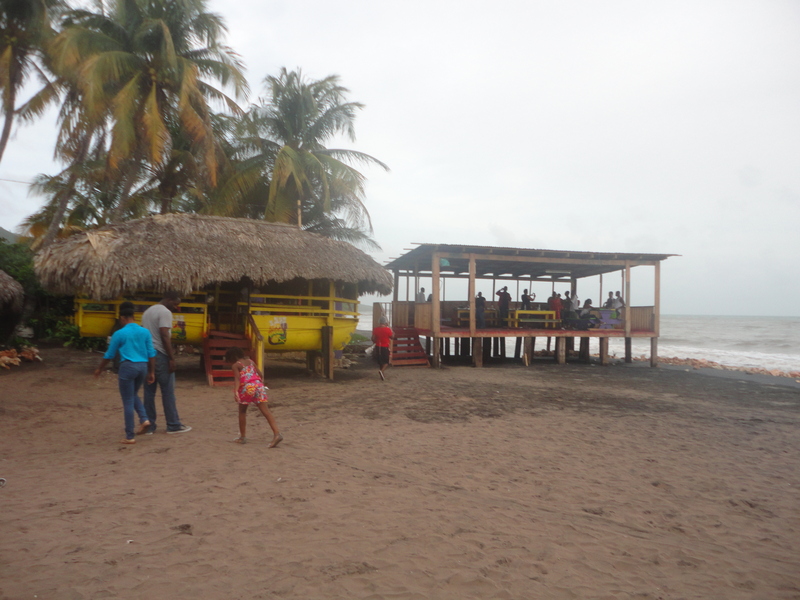 You choose your fish freshly caught fish, tell the chef how you’d like it and with what side dishes then order a drink and wait in the boat shaped booths on the black sand beach. 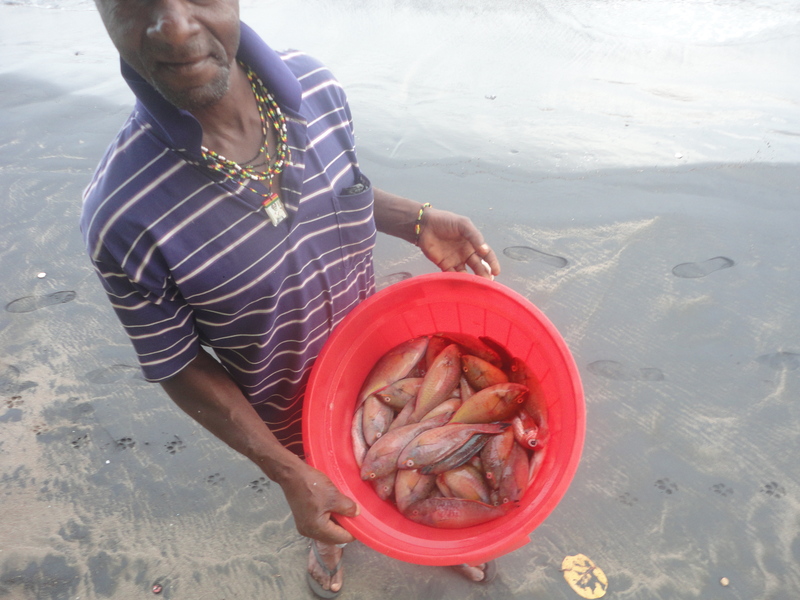 You can even purchase uncooked fish from the fisherman, if you enjoy cooking but it is highly unlikely that you will be able to replicate the taste of Little Ochie’s Brown Stewed Snapper with Bammy and Festival. If you think I’m exaggerating the evidence is on my plate. Check their website for directions but if you feel like you are lost trying to get there just keep on going, you’ll find it. I can’t think of a better place to eat fish and sip on a beer than in the middle of the ocean. Floyd’s Pelican Bar is the definition of the term “watering hole” . 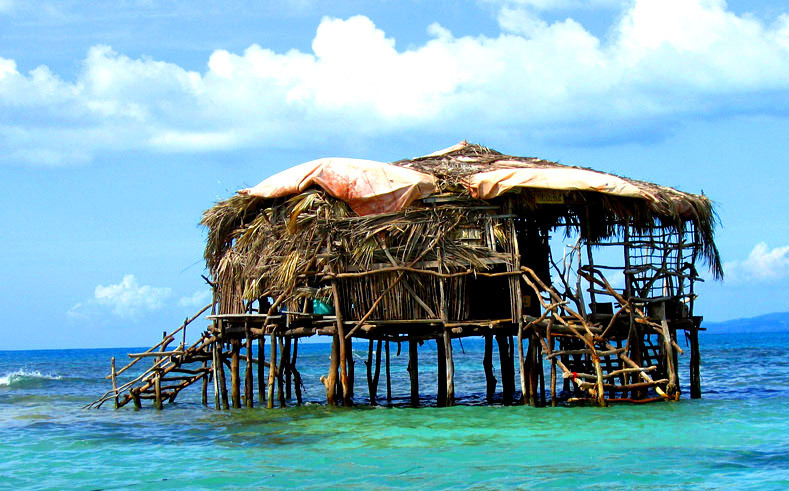 When Floyd decided to build his bar in on a sand bar 20 minutes off the coast of treasure beach, people thought he was crazy however his madness has paid off as it is now an iconic spot in Jamaica. 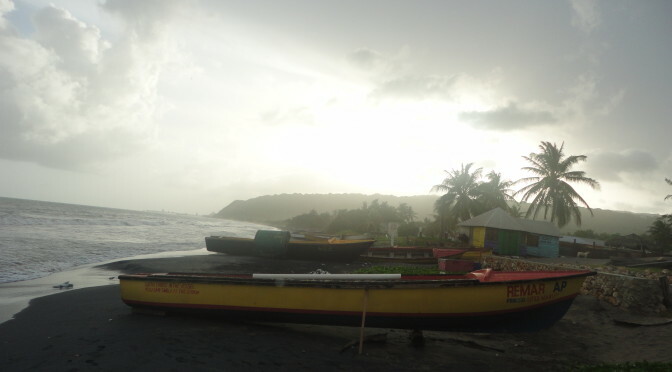 If you visit Black River or Treasure Beach a boat ride can be easily arranged for you. Can you think of a better escape? 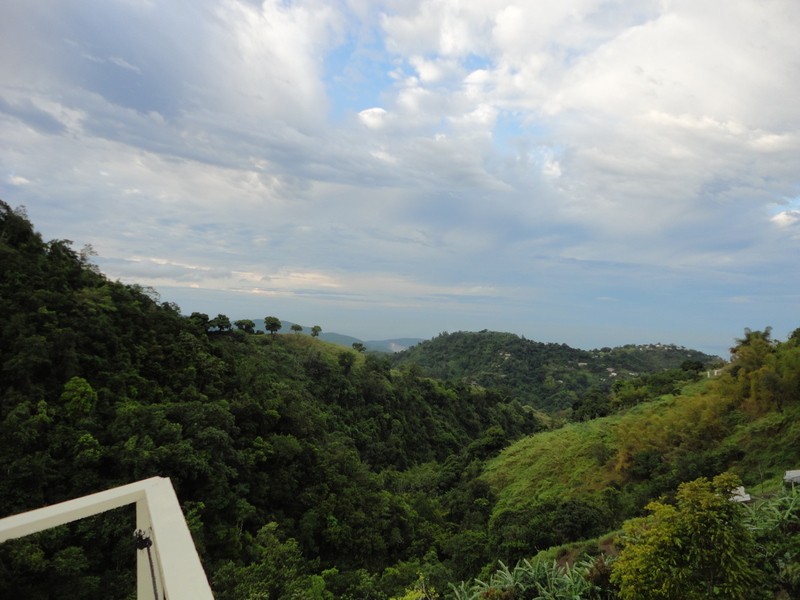 Jamaica offers more than beautiful beaches, if you are a true nature lover and enjoy challenging hikes then the Blue Mountains should be on your to do list. Blue Mountain Peak is the highest point on the island. 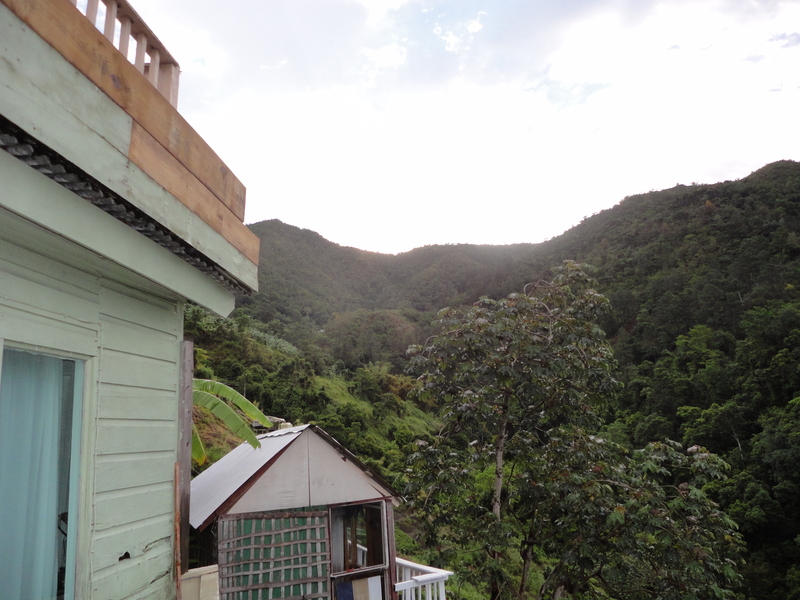 The mountains expand through the parishes of Portland, St. Thomas , Kingston & St. Andrew. If you are not feeling very athletic then you don’t have to do the hike to the peak. You can relax in charming cottages like Mount Edge. Wake up to fresh mountain air and the smell of freshly roasted coffee as this is the home some of the best coffees in the world. Visit coffee farms, do a river hike or just sit still in nature for a minute. The beauty about all these places is that they are perfect if you seek to escape the regular tourist places and really see and enjoy Jamaica. Travel at your own pace and experience the warmth and kindness of ordinary Jamaicans in their natural habitat. Please leave your comments if you would like to experience these places or if you’ve been. Happy travels everyone. Awesome, thanks so much for this. I’m definitely putting Floyd’s Pelican bar to my (ever growing) list! Next Next post: Throwback Thursdays: Come Back To Jamaica !